IdeaWorks, part of VMLY&R, has created its inaugural brand campaign for Petbarn’s exclusive brands division since being appointed to the business late last year. 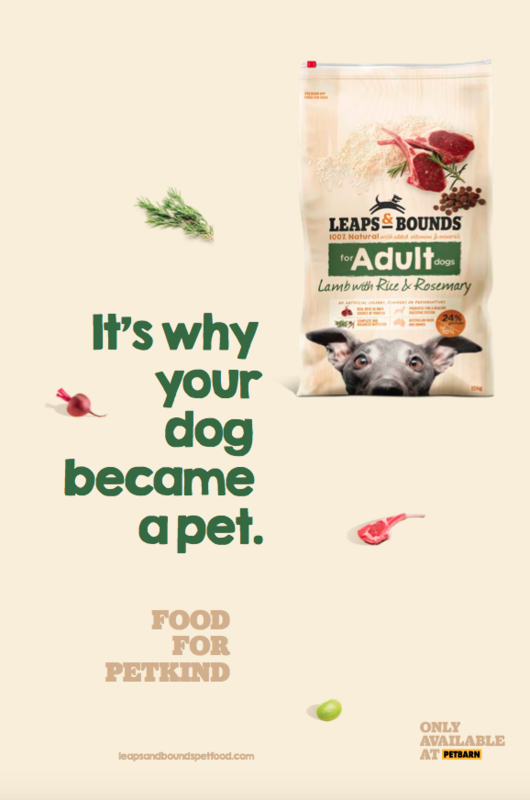 The campaign for Petbarn’s exclusive label pet food, Leaps & Bounds, is themed ‘Petkind’. It celebrates the quirky yet quality brand by championing pets with personality to show natural pet food made from simple ingredients can be available to all Petkind, while remaining affordable for pet owners. A series of humorous online content videos (see below) showing pets’ unique personalities and quirks, including a dog show with a definite difference, is supported by small-format out of home, social content and dynamic digital displays. Drew Frame, senior exclusive label brand manager at Petbarn, said: “We’re excited to introduce our first Leaps & Bounds campaign to the market. It is a highly differentiated approach that will make a real impact for our business. Danny Lattouf, regional head of retail at IdeaWorks, said: “It is refreshing to be working with a client who is not only investing in its private label, but enabling its quirky personality to shine through. Petbarn’s new campaign for Leaps & Bounds launched this week, with further executions to roll out during the week.